Stampin' Up! 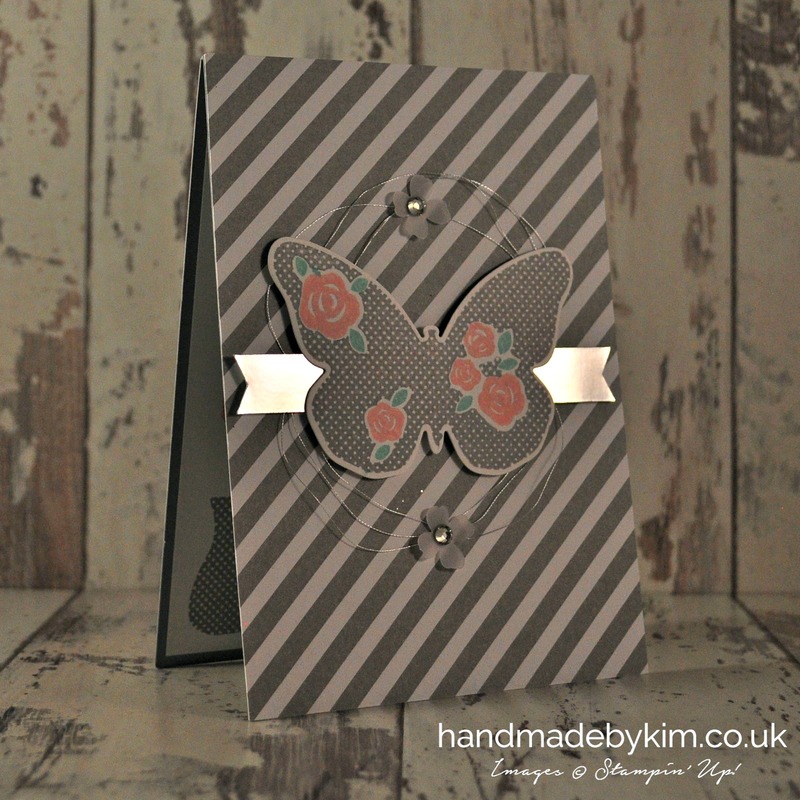 Demonstrator Kim Price - Handmade by Kim: Butterflies & Stripes - Handmade cards using the Floral Wings stamp set by Stampin' Up! 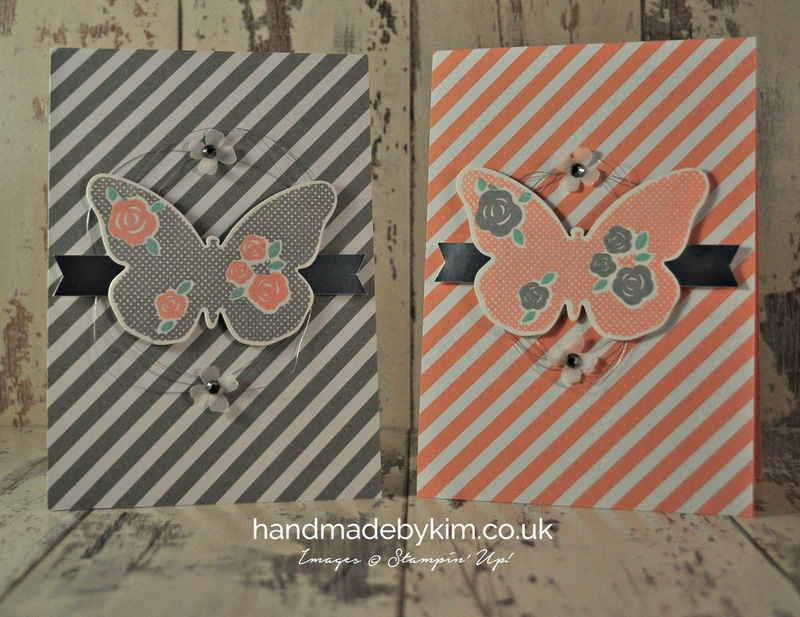 Butterflies & Stripes - Handmade cards using the Floral Wings stamp set by Stampin' Up! I had such a lovely time at our Quarterly Training yesterday. We made 5 amazing projects and I can't wait to take the inspiration I've gained from today and make some brand new projects. 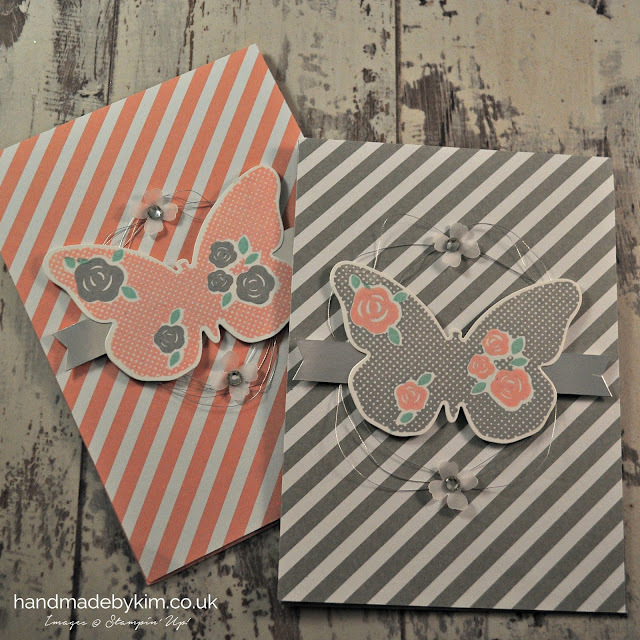 I love the stripey paper in the DSP stacks. On this occasion, I didn't want to show a border of the cardstock underneath. I really like this effect so I might try it with some other DSP to see how it looks. We're not all perfect (although I would like to be!) Sometimes things just don't go to plan. 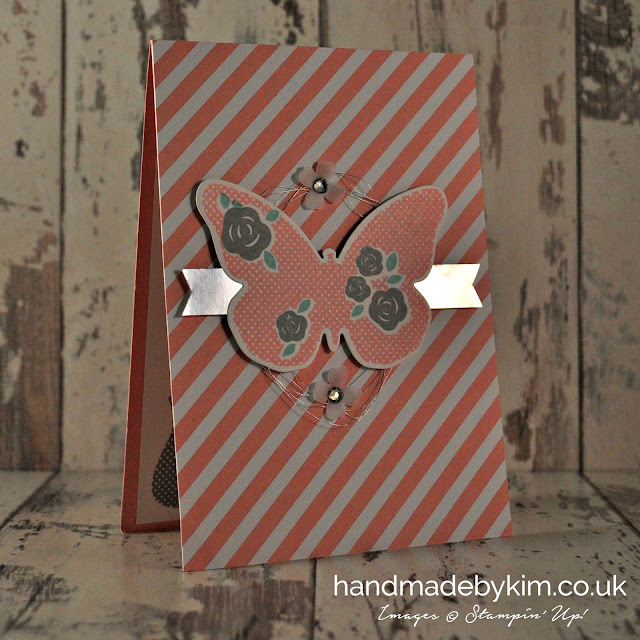 For example, on the card above my butterfly is not positioned in the centre. I didn't notice it at the time so when I did notice it, I was tempted to make the card from scratch again. I hope you enjoyed my project today. Come back on Wednesday to see the Christmas Gift Box I've made.